These apple cookies are perfect for fall! 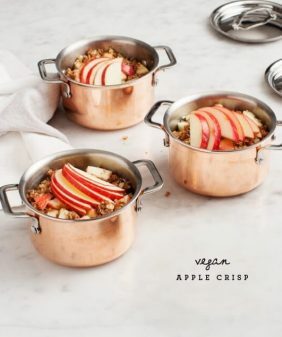 Packed with apples, oats, walnuts and raisins, they're vegan, gluten free, and lower in sugar. Something that’s at the top of my fall bucket list: apple picking. Ok, I haven’t actually made a fall bucket list, but I should because I have all these things that I want to do now that we’ve moved back to Chicago and are experiencing the season to its fullest. Growing up, one of my absolute favorite fall activities was our family’s annual apple picking trip. We’d all pile into station wagons and drive to a nearby orchard for the day. Joining us were grandparents, cousins, aunts, uncles… the whole family! Afterward, we’d go back to someone’s house and order pizzas (this is Chicago, after all) while the moms made apple pies. After that, we’d have bushels of apples (and pies!) for weeks. I realize that this story should end with apple pie, but it ends with the next best thing – apple cookies! These cookies are on the healthy-ish side. They’re soft – more like a muffin top than a crispy cookie. They’re both vegan and gluten-free, made with oat flour. They’re also low in sugar, thanks to Truvia’s Brown Sugar Blend. 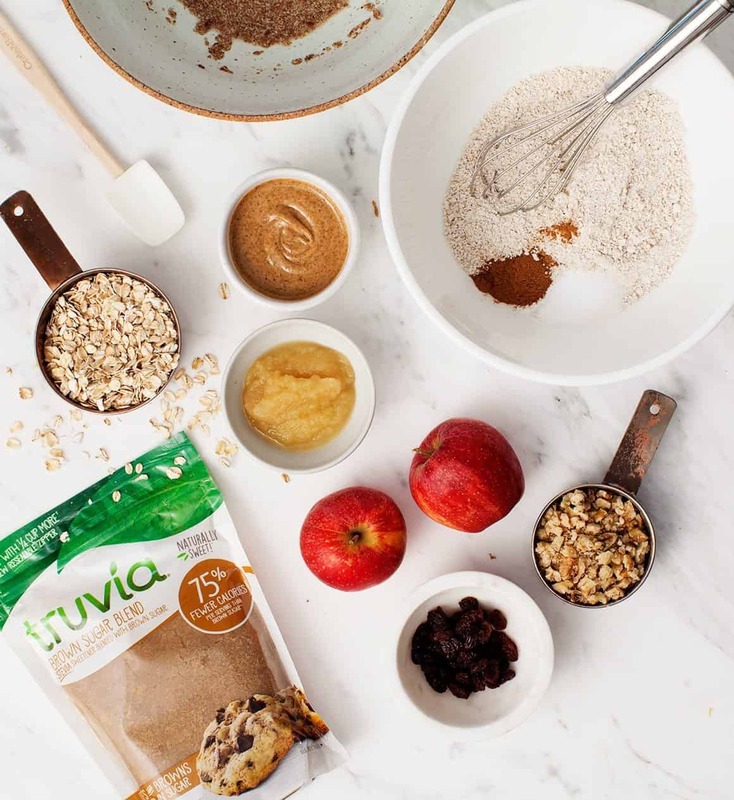 I get SO MANY requests for lower sugar stevia-based recipes, so I’m happy to share this recipe for apple cookies in partnership with Truvia. 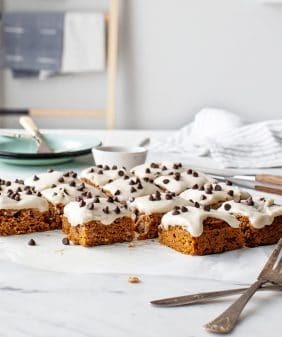 For more fall cookie recipes, try these Pumpkin Oatmeal Chocolate Chip Cookies or these Carrot Quinoa Oatmeal Breakfast Cookies. 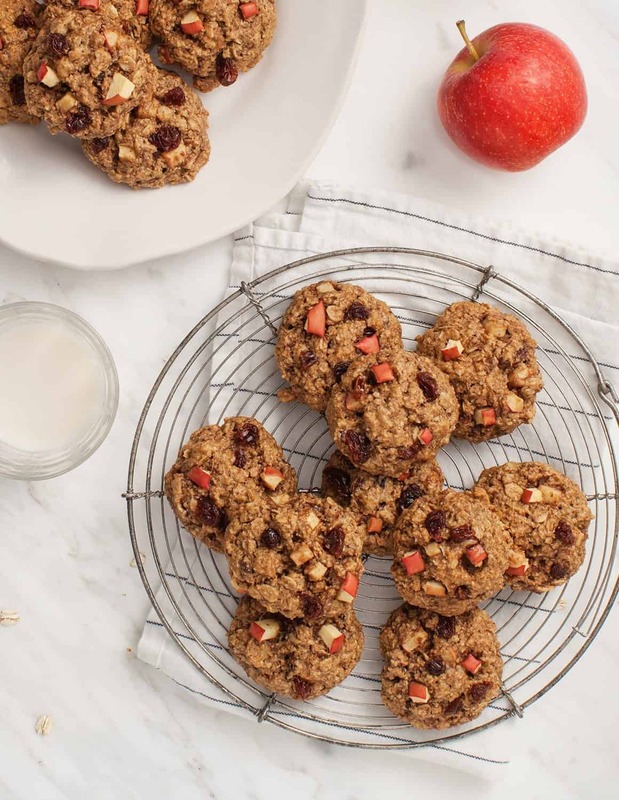 These apple cookies are soft - they're more similar to these Carrot Breakfast Cookies or a yummy muffin top than to a classic flat & crisp/chewy cookie. Great for an afternoon snack, dessert, or lunch box treat! In a small bowl, combine the flaxseed and water. Stir and set aside to thicken for about 5 minutes. In a large bowl, stir together the oat flour, baking soda, cinnamon, and salt. In a medium bowl, combine the almond butter, coconut oil, applesauce, vanilla, and brown sugar. Add the thickened flaxseed mixture and stir well. Stir the whole rolled oats, apples, walnuts, and raisins into the bowl of dry ingredients. Add the wet ingredients to the dry ingredients and stir well to combine. The batter will be thick and sticky. Drop rounded tablespoons onto the baking sheet and press down slightly. Bake for 12 to 15 minutes, until the bottoms are nicely browned. (Note: do not under-bake or your cookies will be more likely to fall apart). Remove from the oven and let the cookies cool on the baking sheet for 5 minutes before cooling completely on a wire rack. *Make your own oat flour by blending (in a food processor) whole rolled oats into a fine flour. This post is in partnership with Truvia, thank you for supporting the sponsors that keep us cooking! Yep. 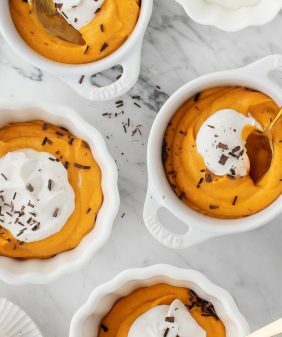 If fall was a cookie, it’d 100 PERCENT be these! Would it work with steel-cut oat? What are others’ thoughts on subbing in a cup of brown sugar for the Stevia blend? I’m a-okay with regular sugar (and caloric cookies 😉 ). Is adding 1 cup of brown sugar going to throw off the wet-to-dry ratio?? Hi Tia, I tested these both ways and used 1/2 cup brown sugar and they were plenty sweet and had the same texture. I love using Truvia brown sugar blend! So nice that you can use half the amount of sugar a normal cookie recipe calls for, yet it bakes up just like a regular cookie. Can’t wait to try these out! Can you use an egg in place of the flax mixture? Hi Kate, I haven’t tried, but I think 1 egg will work in place of the flax mixture. 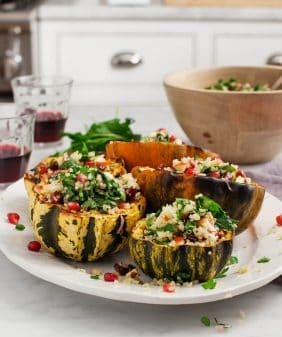 Nice Recipes. I love that. These cookies look so good, I would love to eat them for breakfast! Do you have nutritional data? i.e. calories per cookie, carbs, sugars, etc. The apple picking sounds wonderful. I never did that as a kid but it would have been so much fun for you all together. And these cookies look fabulous. Can’t wait to try them. 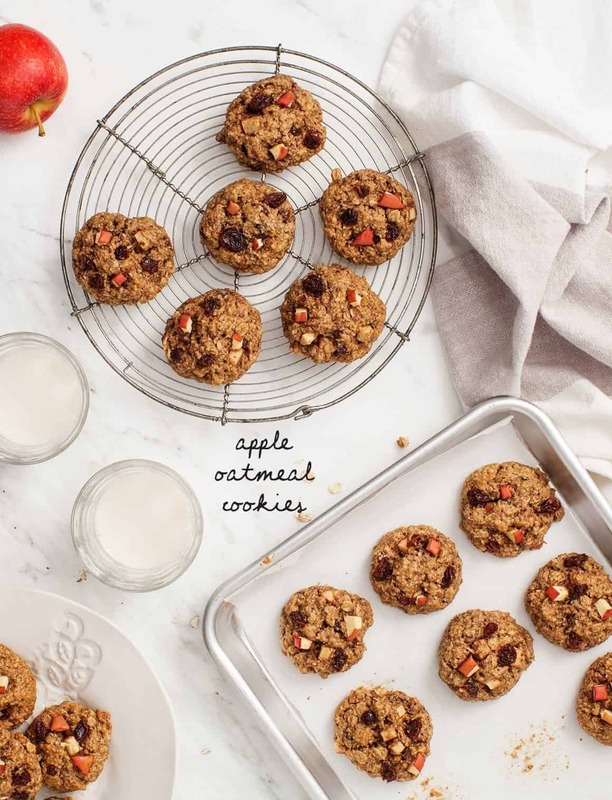 Yum, I love oatmeal cookies and these look perfect with the apple in them. My kids are going to love these too. Love that these are GF!! They look amazing! Can’t wait to try! a fall classic! 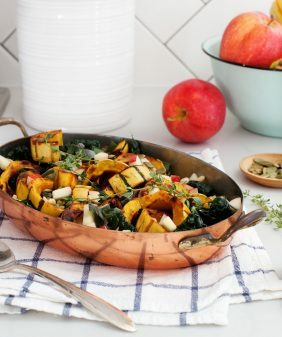 Congrats on your move, love the ingredients here and especially the large apple chunks, like the texture and flavor bomb inside each chunk, thank you! Will this work with using real eggs and real brown sugar? Or will the texture not work? Hi Melanie, I haven’t tried with eggs, but I think 1 egg should work in place of the flax mixture. 1/2 cup brown sugar works as a replacement. Hi! 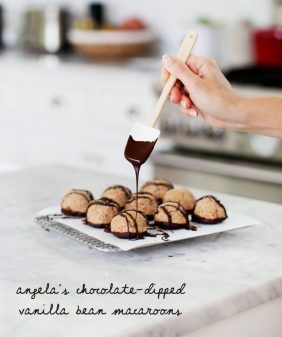 Can I make these with 1 cup of ordinary brown sugar? Whoops – just saw your helpful reply above! Now I can get to grinding up oats and soaking flaxseed. My glutenfree and vegan workmates will be so happy tomorrow!!! Many thanks. Can’t wait to get started on these cookies, they sound and look delicious! Can I sub almond flour for the oat flour? I really love to use almond flour when I can – don’t need to, but I enjoy experimenting for my daughter-in-law whose IS gluten free. One other question: can you use unsweetened applesauce in place of the sugar? Or would that make the batter too “soupy”?? MERRY CHRISTMAS EVERYONE. And hope you enjoyed a healthy and happy Chanukah! Hi Chris, I haven’t tried these with those modifications, so I can’t say for sure. I bake cookies with almond flour all the time so that might work. I would probably not use extra apple sauce, it will likely make the dough too wet. Hope that helps!